Soon the 5th edition of Miss Grand International will start in Vietnam. Around 80 countries will be represented and you can start interacting voting for your favorite by liking or sharing her photo. 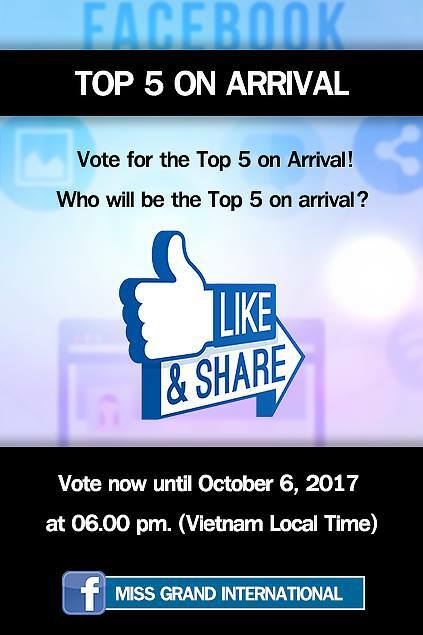 Who will be the Top 5 most popular candidates upon their arrival? CLICK HERE and participate.